Today Alfie talks about the WOW Word - Resurrection! Our WOW Word today is Resurrection! I wonder what you think the word “resurrection” means. Resurrection means more than just coming back to life! Jesus raised at least three people from the dead, but that was more a resuscitation than a resurrection! They came back to life with their normal bodies and they would go on to die a physical death again! So let’s start by looking at Jesus’ resurrection. The resurrection of Jesus Christ provides the central theme for the sermons and teaching in the early church (Acts 1:22; Acts 4:33, Acts 17:18). But what significance is there in Jesus’ resurrection? Alfie the WOWChurch Cat explains the significance of Jesus' resurrection! Play the video to discover what Alfie has to say and/or download the file to take away! Bless ya! To be great is to rely on your own strength, own power and own wiles with a self-serving self-seeking and self-important love. That is the wisdom of the world. But that is not true greatness. It isn’t even really love. So what is greatness? That is biblical greatness. That is biblical love in action. Go into this week determined to serve others selflessly so that others may see Jesus in however you serve other people. After introducing Paul to us Luke switches back to 3 stories about Peter, 2 minor and one major. First the 2 minor stories. As we read them watch out for several sharply contrasting features between the first and the second. Question 1: Apart from the obvious one of a bed-ridden person and a dead person, what are the major contrasts between these 2 stories? What are we meant to learn from them? As so often in Luke’s writing one is about a man and the other about a woman. Luke is clearly concerned that we should understand that a woman is every bit as important in the Kingdom as a man is. Dorcas was an important person much respected both in the church and in the wider community. Aeneas was a nobody: bed-ridden and of no significance. No one is more important than anyone else in the Kingdom. As is sometimes said: the ground is level at the foot of the Cross. The major story is long and complicated. Some background is advisable. To this point almost all those who had set out to follow Jesus had been Jews. Now the good news of Jesus had begun to break out of the bounds of Judaism in a small way, mainly because of the adventurous ministry of Philip. Certainly Peter was staying with Simon, a tanner, who was therefore a notoriously unclean person from handling dead animals, so he too was beginning to break out, but the great question: did non-Jews who wanted to follow Jesus have to become Jews as well was still unresolved. obeying the strict food laws. The first, circumcision, would remain an unresolved problem for some time yet. The second, Sabbath keeping, was probably not a great issue. The early church, which would have included many slaves, can only have met on a local feast day, whether that was a Sabbath or a pagan festival. Slaves will not have been able to keep the Sabbath anyway. We are about to read how the third problem: the argument about keeping the food laws, was resolved. Centurions, in charge of 80-100 men, formed the backbone of the Roman army and so were very important people. Question 1: What would these verses have meant to Theophilus, the guy for whom Luke wrote this book? He hears about a highly respected Roman being involved in the story of Jesus and his people. That would be an encouragement to him that he need not be wary of similar involvement himself. Peter’s vision was clear in its meaning. As a devout Jew Peter will have avoided any contact with the foods forbidden in the Law. He saw a sheet including animals like pigs, rabbits, herons and snakes – to mention just some now commonly eaten – and was told he might eat them, rather, he was commanded to eat them. Question 2: What would his reaction have been? He would have been shocked and horrified. (So might we be at some of the things included – snakes, yuk!). Question 3: What is the general significance of him being told this? The people of God were to turn away from a rule-based system of ethical behaviour. We shall find out later in this chapter what was to replace the rules. What an astonishing scene: a Roman army officer, family and friends in a grand house welcoming a small group of dusty, sweaty, well-travelled Jews. Whatever next! ‘You know’, said Peter, ‘all about Jesus’. So the whole countryside must have heard all about the life, death and reappearance of Jesus. Peter’s sermon simply tells the story of Jesus. Question 4: What were the most important things in his talk? What would have been the bullet points if he had had a computer? the way belief in him conferred forgiveness of sins. Perhaps there is a message here to all preachers – you cannot tell the great story of Jesus too often. Question 5: This is a fundamentally important question. What was to replace the rules of Judaism? When we believe and set out to follow Jesus the Holy Spirit comes to us as a special gift from God. We don’t have to look for any particular signs of his presence. To do so would imply that he was under our control and he isn’t. Rejoice in his presence in and with you. Note once again the close association between the start of the Christian life and baptism. It is not essential but it is definitely expected. After that life will be different because as Paul says we are to ‘walk in step with the Spirit’. Our response to the events of Easter? Today is Easter Monday! We have looked at the events of Easter! Jesus dead and buried! Jesus resurrected – raised to new life physically and with a new glorious body! WOW ! Alleluia!! - But so what? What is our response to this to be? Our first response if we are followers of Jesus is that we are to love. Love not just in words but also in action.. Love God and love others. What kind of love? It is to be a practical, self-less, giving and sacrificial love. 1 John 3:16 states: “This is how we know what love is: Jesus Christ laid down his life for us. And we ought to lay down our lives for our brothers.” Jesus told all his followers to take up their cross if they were to follow Him as His Disciple (Luke 9:23). Are you as a Christian Disciple willing to take up your cross and do all you can do to love others? There is a price to pay for true followers of Jesus Christ! Followers are surrender completely to Him in all aspects of life! Followers identify with Him in suffering and death and follow Him obediently, wherever He leads. Followers are to take up their own cross in order to show that they are followers of Jesus Christ – the King of Kings and Lord of Lords. The cross is God’s solution to the suffering, evil, troubles and sin of the world. Only by Jesus Christ going to the cross have evil, sin, suffering and satan been dealt mortal blows. The cross provides the victorious solution. The cross is not a symbol to be merely placed around the neck on a chain, to be worn as a lapel pin, or as a item statement of fashion. The cross is not meant to portray Jesus as some form of sadomasochistic ‘tragi-hero’ as some people try to make it out to be. The cross is God’s solution to the problem of evil, sin, suffering and pain, as much as the wise of this world would love to think that it is not. But it is more than that for the Christian! What is our response to this to be? As followers of Jesus Christ we are commanded to count the cost of following Him. That is how we carry our own cross for the sake of Jesus Christ. Jesus wants to be number one in the life of all those who choose to follow him! Jesus wants supremacy over everything in our lives, including family, friends, and possessions! Alas, that’s a cost too high for some! Here is one man who couldn’t give up something to follow Jesus! Let’s call him Basil. Basil runs up to Jesus! Basil wants eternal life, and he wants it now! So Basil asks Jesus about how to get it. He has fully kept the commandments listed by Jesus. However! However when Jesus said to Basil that in order to follow Him, he would have to give up all his wealth and possessions in order to have treasure in heaven and eternal life, Basil leaves disconsolate and shattered. Basil couldn’t do it! It was a step too far for Basil. He wanted his riches and also everlasting life, but Jesus said he couldn’t have both. He remains the only person that we know of, who left Jesus’ presence sorrowful. That was due to Basil putting his trust in himself, his riches and wealth alone. Now riches, in and of themselves, are not necessarily wrong! The life of Basil, this rich young ruler, reflected a life of absorption with his own self-interest and self-importance! Basil was not willing to make the sacrifice required to follow Jesus. He couldn’t count the cost of following Jesus– it was too high a price for him to pay! What have you given up in and as a result of your decision to follow Jesus? Making sacrifices to follow Jesus is all part of the WOW factor of Jesus. Jesus demands that He is number one and supreme over everything else in your life - yourself, family, others and material goods including money and possessions. How is this done? This is done by consistently ensuring that your works and words match your lifestyle and that no hypocrisy can be found, or indeed will be found. It means standing up for God in the face of adversity. It means loving others even though they hate you. In the UK, we aren’t systematically persecuted. We are marginalized, ridiculed and ignored but some of our Christian family around the world who daily face death simply because they chose to follow Jesus. They are carrying their cross for Jesus! What about us in the UK? For example if we as Christians were known by our self-sacrificial love of all others, then Jesus whom we claim to love, follow, worship, and adore would be seen. Dietrich Bonhoeffer wrote "When Jesus Christ calls a man, he bids him come and die. ... Discipleship is not an offer that man makes to Jesus Christ, nor is it hero worship, but intimacy with Christ." (The Cost of Discipleship). Bonnhoeffer knew that as a Christian, a person has to take up their own cross in following Jesus and count the cost of being a disciple of Jesus Christ. Finally, let’s look at 1 John 3:16 “This is how we know what love is: Jesus Christ laid down his life for us. And we ought to lay down our lives for others.” Jesus told us to take up our own cross if we are to follow Him as His Disciple. How is that possible? If we try to do that in our own strength and wisdom, we will fail. If we do that using the power and strength of the Holy Spirit within you, then you will succeed at following Jesus’ command. Are you as a Disciple of Jesus Christ willing to take up your? What a difference that would make to the community where you live! To those that have responded to Jesus and are following Him, Jesus still meets with them. How does He do this? Because of Jesus’ resurrection from the dead, it show that we as Christians have also risen from the dead! Our old nature is dead and our new nature is alive! In the sacrament of baptism, Christ’s death is symbolised in our going under the water bodily, just as His resurrection is symbolised when we are raised up and out of the water! WOW! Jesus Christ – dead, buried and raised to new life! The Christian – dies to self, buries their old sinful nature and raised to new life in Jesus Christ with a new nature, ready to serve the risen Jesus! WOW! More than that, His resurrection was not merely coming back to life. Jesus had raised people back to life during his ministry. But those people would go on to die again. Jesus was not like that, because he had new and glorious body! And we too will one day have new bodies! WOW! If you are not yet a follower of this Jesus, then start following now! You may not have another opportunity to do so! 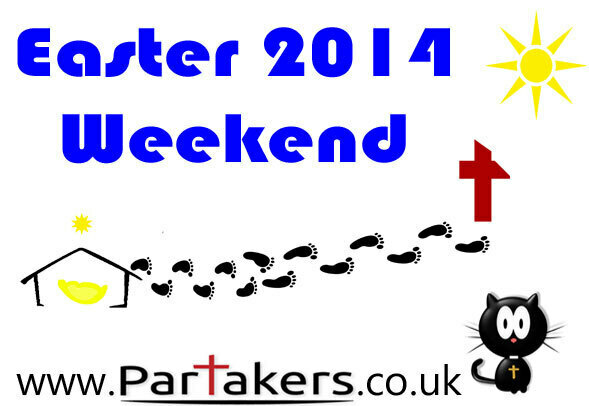 If you don’t know what to do then contact us here at Partakers and we will help you!! Thank you. Risen and Firstborn from the Dead! So far in the Easter story, we have seen that Jesus has been crucified and he is dead. He is buried within a sealed and guarded unused tomb. Or is he? Let’s look at what the historical Gospel accounts say! Let us first look at the sequence of events over the period of time after Jesus death till He ascended. Now remember, the Gospels are documents which have recorded historical events. All four Gospels, Matthew, Mark, Luke and John, tell us that Jesus was crucified, died and was buried within a sealed and guarded tomb. What do these four Gospels say happened next? OK so Jesus is resurrected! What evidence do we have for Jesus resurrection to new life? As you read the Gospels and the Book of Acts, notice the changed attitude of the disciples after seeing the risen Jesus. They changed from defeated, cowardly people to victorious, brave people. Nobody who could have produced the dead body of Jesus, did so. Their silence is as significant as the preaching of the Apostles. Or take the multiple appearances of Jesus to various numbers of individuals and groups of people at, various times of the day and in differing circumstances. This shows that Jesus’ resurrection was physical in nature! Some people say Jesus’ resurrection was spiritual in nature but not physical. But the amount of people that saw Him physically afterwards dispels that particular myth. What about the current tangible evidence - the survival and inordinate growth and impact of the early church and that the church is still growing 2000 years later. If there was no bodily resurrection of Jesus’ would people really have risked persecution and death for knowing a lie? One or two people maybe, but not hundreds and thousands! Now let us look briefly at the significance of the Jesus’ resurrection. We look in the writings of the Apostle Paul in 1 Corinthians 15:1-8: Now I declare to you, brothers, the Good News which I preached to you, which also you received, in which you also stand, by which also you are saved, if you hold firmly the word which I preached to you—unless you believed in vain. For I delivered to you first of all that which I also received: that Christ died for our sins according to the Scriptures, that he was buried, that he was raised on the third day according to the Scriptures, and that he appeared to Peter, then to the twelve. Then he appeared to over five hundred brothers at once, most of whom remain until now, but some have also fallen asleep. Then he appeared to James, then to all the apostles, and last of all, as to the child born at the wrong time, he appeared to me also. That was the Apostle Paul, writing to the Corinthian church about the Jesus having been raised from the dead – physically! The resurrection of Jesus Christ provided the central theme for the sermons and teaching in the early church (Acts 1:22; Acts 4:33, Acts 17:18). But what significance is there in Jesus’ resurrection? Tomorrow, on Easter Monday, we will look at how we are to respond to the message of Easter. It is Saturday. Jesus Christ has been condemned, crucified, died and is buried in an unused tomb. What now? It is the day after. It is the Saturday, which means it is the Sabbath. The Bible is silent about this day. This is the day between the crucifixion and resurrection of Jesus Christ. There isn't a story about the tears shed, the memories shared, the hugs and the hurting hearts. Where are His close followers, the disciples? What of the Jewish authorities? Were they gleeful at the demise of this man Jesus who claimed to be the Messiah? We don’t know. This is a dark day, a day when Jesus did some of the most precious work ever. This is the day when after his physical death He walked through the Valley of the Shadow of Death and He carried all of us. Every sin, every tear, every wound - He carried them all and didn't drop a single one. Harried and harassed, He fought death and washed us clean. From that last breath to the angelic tomb break He fought for us, He carried us. We used to have to walk through that valley, until Jesus on that dark Sabbath walked it one last time for us. How wonderful! How amazing. How awesome! Knowing what we know now, we can see this dark Sabbath for what it really is. But how was it for the sisters, Mary and Martha or for Mary, the mother of Jesus and the other Mary of Magdalene and the other women who were waiting to tend to him. Their time was short on that terror filled Friday and they could offer no proper anointing, no proper farewell. A quick bit of tearful heart broken work before the sun went down. Then a day to wait. The longest, darkest day knowing that He was gone. Even in the middle of our deepest grief we can find peace. I think these people of Jesus were seeking that peace, together. I wonder how much love they had for each other or how badly they were frightened? 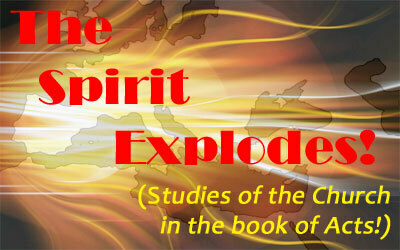 I believe that the Holy Spirit quietened their hearts. I wonder on that dark Sabbath if the members of the Sanhedrin or Pilate and Claudia or Herod were frightened by what they had wrought? Or were they rejoicing that another problem was solved? When did someone find Judas? Did he lay at the bottom of the hill all day, alone and scavenged upon? Possibly. Did anyone mourn that lost soul, besides Jesus? I wonder about the thief who accepted Jesus at the last moment of his life. Today you will be with me in paradise! That was the promise. What a promise! Because of our sins, we all shared the same death sentence as those criminals who flanked our Lord. And yet it was because of those very sins that He choose to pay our price for freedom. Jesus did what no one else could do - He saved the world from itself. And, wonder of all wonders, He did it willingly and with love. The ultimate love. The perfect love. That dark Sabbath was washed in tears, blood and yet it claimed no victory. The temple curtain was torn. The old was passed away. That dark Sabbath was the last of its kind. No more innocent lambs to bleed out, potion out and burn. The perfect Lamb took all of our places, forever! It is fitting that the dark Sabbath had no words spoken about it. It is fitting because everyone needs to catch their breath from the cross to the empty tomb. It is a huge journey to take, but Jesus no only led the way but He cleared it, filled it with light and love. Today, as you catch your breath between Good Friday and Easter Sunday think of the quiet darkness of that Sabbath day. Consider what the silence, the tears and the sense of waiting for something amazing must have been like. The world waited, the very creation beneath our feet, just as was beneath theirs, held its breath. Everything was waiting for that light to burst forth victorious! Centuries before Jesus Christ, these words were spoken about the coming Messiah. On this Good Friday, let us look briefly at the events before Jesus crucifixion – His trial and condemnation – going on to looking briefly at his crucifixion, death and burial before finishing with what the Cross of Jesus Christ was all about. Jesus is before the Roman Governor, Pontius Pilate. Pilate gave in and permitted the flogging and mockery of Jesus, in the hope of shaming & appeasing Jesus’ accusers (John 19:1-3). Pilate affirmed Jesus’ innocence after the scourging (John 19:4). Jesus’ refusal to answer stung Pilate into reminding Jesus of his Roman authority (John 19:10). Jesus, however, corrected Pilate’s idea of authority and told him that although Pilate may have power on earth, Jesus’ power reached beyond earth (John 19:11). Jesus knew that his work of bring people back to God in a loving relationship did not rest on the actions of a mere Roman governor. Pilate was more concerned with his own position than he was for justice. In all this, we see Jesus as the true Passover lamb. Jesus bearing his own cross, was killed as a common criminal (John 19:17). We read, that Pilate was responsible for fixing the sign “The King of the Jews” (John 19:21-22). The clothes of condemned prisoners were given to soldiers on duty (John 19:23). Even when he himself was in agony, Jesus showed concern for his mother, committing her to the Apostle John (John 19:s.26-27). Joseph of Arimithea and Nicodemus buried Jesus. The significance of “in which no-one had ever been laid” (John 19:41) is to demonstrate that the body of Jesus at no point came into contact with the decay of a dead body. But before we leave today, lets investigate what Jesus’ death on a Roman cross two thousand years ago means for humanity today and why He had to die on a cross in the first place. All human beings, in their natural state, are born sinners and have rebelled against God (Romans 3:23). That is what sin is – rebellion and disobedience against God. However, because of Jesus’ death on the cross, God offers forgiveness (Ephesians 1:7), Peace (Romans 5:1) and reconciliation with God, so that we are no longer His enemies (2 Corinthians 5:19). Through the cross, and only through the cross, we are made just before God (Romans 3:24-26), it cleanses us from sin (1 John 1:7) and makes us right before Almighty God (2 Corinthians 5:21). Because of the Cross, we have direct access to God (Ephesians 2:18) and Jesus Christ intercedes for us (Hebrews 2:17-18). Because of Jesus Christ’s death on a Roman cross, all those who follow Him have freedom from the power of slavery to sin (Galatians 5:1) and freedom from the power of the devil (Hebrews 2: 14). None of the above things are true if we do not follow Jesus. The problem is sin or disobedience (active or passive) of and towards God. Sin is what separates humans from God and as a consequence leads to both a spiritual and physical death (Romans 3:23, Romans 6:23, Isaiah 59:2). In the Old Testament, sins were dealt with by blood sacrifices of atonement as coverings for sin (Leviticus 17:11), for without the shedding of blood there can be no remission of sin (Hebrews 9:22). A blood sacrifice is God's way of dealing with sin. The solution lies not in continual animal sacrifice of the Old Testament because Hebrews 10:4 reminds us that the blood of animals cannot take away sin but was only a veneer or covering. That was why it was necessary to repeat time and time again! It is only through the death of Jesus, that sin is taken away (Hebrews 9:11-15, 26-28), because Jesus is our permanent sacrificial substitute! Jesus died for our sin, the just for the unjust (1 Peter 3:18). That is how God is both just and the Justifier of sinners. That is why Jesus needed to be both fully God and fully human! If he lacked either, it would not be the full substitutionary sacrifice that was necessary to bear the permanent consequences of sin! When Jesus died on the cross, in our place, he bore the consequences of all sin – past, present and future. He therefore became sin for us (2 Corinthians 5:21) and it was His blood as a lamb without spot or blemish (1Peter 1:18-19) that fulfils God’s requirements permanently. Towards sin and sinful behaviour, God has great fury, anger and wrath (Jeremiah 21:5). Yet as Micah 7:18 “He is slow to anger and quick to forgive”. Propitiation basically means the turning aside of God's anger by the offering of the sacrifice of Christ. God's anger and judgment of sin falls on Christ, instead of us. We need to approach God to appease His anger, in order to accept it (Romans 3:25; Isaiah 53:5; John 2:2, 5:6). 1 John 4:10: This is real loved—not that we loved God, but that he loved us and sent his Son as a sacrifice (or propitiation) to take away our sins. Some people say that Jesus didn’t die on the cross, but rather somebody was made to be His substitute. But this is a lie of the devil. Nobody could have been a substitute or the Jewish leaders would have said so when the rumours of Jesus’ resurrection began to circulate. The Romans kept strict discipline and regimen and nobody would have been able to get in amongst the Roman soldiers and somehow substitute themselves for Jesus. Yes, somebody else carried the cross for Him, but nobody but Jesus was nailed to that cross. Jesus died on that cross and not some substitute. Now we might think of being filled with Holy Spirit as a one time occurrence, I grew up Pentecostal so in doing so it was more than a one time occurrence, because you know one thing the Pentecostals have is the Spirit. Even more than that, in our every day walk Christ is in us, Holy Spirit is there. He’s our comforter. Christ said that He had to leave so that the comforter could come. And as I bring this message to you this morning, I just want to share with you that our comforter is with us, ever present and we just have to lean into Him. This past week was a very hard week for me as the son of some friends of mine was murdered last weekend. So I spent a lot of time grieving this weekend and last week but in this grief, it was a time for me to withdraw. Normally I am very socially active on Facebook and other social media and everything. I have several prayer groups that I am a part of and a few other communities that I am a part of; but I retreated. I wasn’t online as much but in doing so, it did cause some people to worry about me and I apologize for that worry, but this was a time that I needed to cry out to Holy Spirit to comfort me, to bring a message to me and to bring peace to me. And in my retreat that is what I did. I stayed in the Word, and I just cried out to God to send that comforter to me. I listened to praise and worship music, things that would soothe my soul. In doing so, I have come to the other side. I’m not completely through the grieving process because grief does come as a process, just like forgiveness. It is multifaceted and it is a journey. But I did not become stuck in this journey. I’m not stuck in the mud. It’s very easy when we lose something whether it’s a job, a family member, or a pet to become stuck in that grief. But as we take action then we can continue to move through it. That is what I want to talk with you about: The action that I took was going into prayer, staying in my prayer closet. I could not do things as ordinary. I had to be a little different; I had to take a different stance in order to bring comfort and healing to my soul. I had to welcome Holy Spirit to do His work there. There may be many of you out there this morning that are facing loss; again, loss covers a multitude of things. Typically when we think of grief we only think of losing a loved one but you know grief...my father in law is experiencing grief because he had a stroke last October. Before his stroke he was very independent now he has to rely on others a lot more than he ever did. But he has come a long way. He can do some things for himself. But where he’s not a hundred percent independent any more, that is a loss that he has suffered and he is experiencing grief and I am trying to help him through that; to help him realize that each time he does therapy he is taking action to heal in that grief and to recover from that grief. When we think of grief, a lot of times people will say, “Give it time, it will get better. Time heals.” I’m sorry you all, I’m going to be honest, time does not heal anything. It just doesn’t! Not sure about that? Walk outside, if your tire is flat, pull up a chair and sit down beside that flat tire and wait on time to put air back in that tire. Time is not going to do that. It’s not going to replace the air in your tire. That is an action YOU have to take in order to continue your journey and grief works in much the same way. We have to take action. For me it is going to prayer, going for a walk, making myself eat because I don’t find comfort in food. I tend to do the opposite of a lot of other people and where a lot of people turn to food, I turn away from it. So, just the little steps of preparing a salad, things like that are things that move us or progress us further into the journey so that we can come out victorious on the other side. And we don’t have to do it alone because Holy Spirit is right there doing it with us. So let’s close in prayer this morning. Father I thank you that Jesus died on the cross for us. I thank you that He told the disciples, “It is expedient for Me to go so that the comforter can come.” And I thank you that Holy Spirit does come and pray for us when we are too bogged down to even have words to pray, that He brings us comfort and that He brings us peace in these trying times. I thank you for this, I thank you for your love for us because it is your love for us that prepared this for us. And I thank you, Father, for the opportunity to be connected with Partakers, with each ministry that is taking place there, with their prayer team. 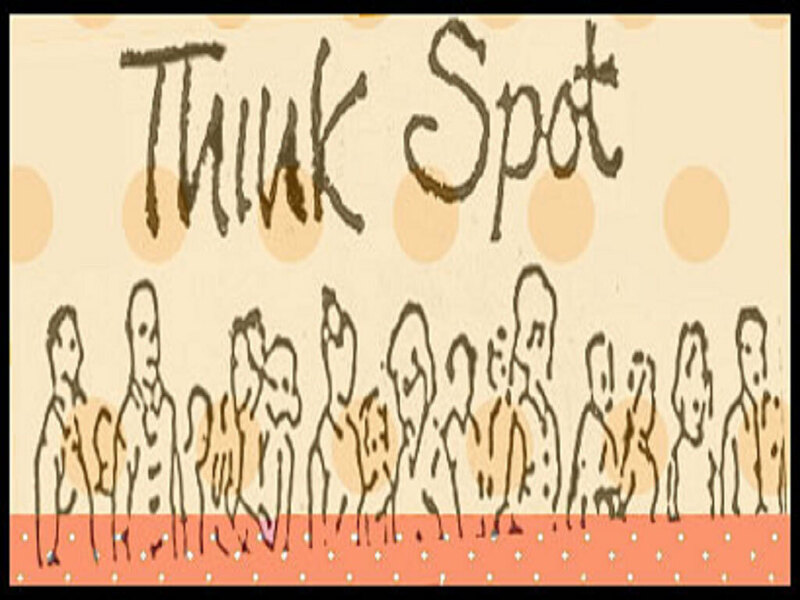 I thank you for each listener that comes every Monday morning to hear Think Spot, and each day throughout the week for the other messages. I just thank you, Father, for the divine appointments that You have put together here, for the way that you are using the internet to reach others and I just ask you to bless each listener abundantly. Rain your peace upon them, send the comforter to them and guide them down the journeys that they face this week. I ask you to place a hedge of protection around each one. Blessed are You, Adonai, God our provider, God of peace, God of comfort, God of love. In Jesus name I pray, amen. Thank you for joining me today. I pray that you will come back tomorrow and the next day and the next day and be blessed with each message that is brought to you this with. And with that being said, may God rain his blessings and favor on you this week. Good day mates! This story is usually called ‘the conversion of Paul’ but, as we shall see, it was a very unusual conversion. The word ‘conversion’ means a complete change of mind and actions. Paul (we will call him that although for the next four and a half chapters, until a name change is noted, he is actually called Saul) made a complete change in his actions but not in his mind. He considered his decision to follow Jesus a natural, if forced, development from his Jewish belief in God. Read Acts 9: 1 – 9. The ‘murderous threats’ of verse 1 are explained in chapter 26: 9 (the second of two further accounts of this event Luke gives using his usual technique of repetition for emphasis). Paul was putting any followers of Jesus he could catch in prison and casting a vote for their death. Question 1:	Paul changed his mind about Jesus. But what exactly was it about Jesus that forced him to change his mind? He realised Jesus was alive and therefore had risen from the dead. Question 2.:	Which Old Testament image or images will Paul have instantly related the lights and the voice to? Moses saw fire and heard a voice at the burning bush. Isaiah saw smoke and heard voices in the temple. The Son of Man vision that Daniel had is not quite such a close parallel but may well have come to his mind as well. 3)	include an immediate sense of call to a new sphere of activity; or simply expect a reinvigoration of an existing way of life. Question 3:	Which was it for Paul? Question 4:	Which was it for you? Obviously your answer – but worth thinking about carefully. It is important to realise all these options are equally valid and we should not look down on those whose experience differs from our own. In some church cultures some people find it hard to believe they are properly converted unless the thunder rolls and the lightening flashes. They place too much emphasis on this passage. They forget that, in the last chapter, after what can only have been an hour or two’s chat the Ethiopian was baptized, ‘went on his way rejoicing’ and probably started the church in his own country! Question 5:	Are you confident the Lord has seized hold of you? If not, get a Bible, and read these two passages in Acts 8: 27 – 9: 9. Note the contrast; align yourself with one or the other. If still in doubt find a more experienced Christian to advise you. Read Acts 9: 10 – 19. The word to Ananias must have been an awful shock to him. There he was hiding away from the expected attack on Christians like him by this very same man he was told to go and welcome. Question 6:	What one word best describes what he did? Read Acts 9: 20 – 31. Question 7:	Paul hit the church like a whirlwind. Apart from his natural ability and energy levels, which were clearly very high, what was it about him that enabled him to make such an impact? We read that he preached, he proved by argument, he spoke boldly, he talked and debated. All of which means that he must have known the OT scriptures so well that when the Holy Spirit came upon him he had all the necessary equipment to do these things. Question 8:	What does that imply for us? Our equivalent is when a young person is converted who already has all the necessary knowledge of scripture to grow as a Christian and begin to instruct others. So teaching young people is enormously important. The final statement about Paul in this passage is they ‘sent him off to Tarsus’, his home city. He reappears at the end of chapter 11 when the Christian message started to spread beyond Jerusalem to non-Jewish people. We are not told what he did while he was back in his home area but we may reasonably guess that he spent much of his time studying hard, adding to the deep knowledge he already had, researching the connection between the OT and what had happened in Jesus, and to him. Thus he equipped himself to become the foremost missionary of the early church and the great writer of the letters that have meant so much to Christians all over the world ever since. Time spent studying the scriptures is never wasted. What a man! We will never be as great as he was but the Lord can do wonderful things in the life of anyone wholly committed to him. Hello, and welcome to the first episode in our series about the Minor Prophets. We're starting our series in the book of Jonah. Of all the books of the Minor Prophets Jonah is perhaps the one that people are most familiar with, or at least they think they are familiar with the story line. Many people will have heard about Jonah and the giant fish. But there is a lot more to the book of Jonah than this! We going to look at some historical background to the book, the type of writing it is, the details of the plot, the major themes of the book and how we might apply these to our own lives today. Jonah prophesied during the reign of King Jeroboam II, who ruled between 782 and 753 BC. Jonah is unusual amongst the Old Testament prophets in that his primary audience was a pagan nation, not the people of Israel or Judah. People have debated about whether the story of Jonah is actually a historical tale or whether it might be a kind of parable or allegory. Some would argue that the episode involving the giant fish is too far-fetched to be historical. Others have argued that it is entirely possible for this to have happened, even without any miraculous intervention. However, the book of Jonah certainly bears all the features of a historical prophetic account and Jesus refers to the account of Jonah in Matthew chapter 12, treating the story as a genuine historical account of real events. The book of Jonah is full of fascinating literary features. It contains humour, satire and irony. The basic plot is quite simple to follow but there are several complex interwoven themes that are developed in the course of four short chapters. The book starts with God giving Jonah a prophetic assignment. God tells Jonah to get up and go to Nineveh, a very large, important city in the heart of the nation of Assyria. He is to go there in order to tell the inhabitants that God is greatly displeased by their evil behaviour and that he intends to judge them for this. The people of Nineveh were really wicked! They would sometimes cut off the noses and ears of their prisoners of war to mark them out for life; they worshiped at pagan temples and sacrificed their children. They certainly did not worship God. Jonah’s task was no easy one. Nineveh was over 500 miles from Jonah's homeland and the Assyrians were the enemies of Israel. Jonah finds the proposal from God abhorrent – he finds it unbelievable that God would offer the chance of repentance to this evil pagan nation! So instead of heading to Nineveh, Jonah runs as fast as he can in the opposite direction, ending up in the seaside town of Joppa. He plans to get on a ship and sail to Tarshish, in a naive attempt to escape from God. God called him to “get up!” but Jonah does exactly the opposite and “goes down” to Joppa! Jonah hands over his cash and secures a place on board a ship heading for Tarshish. However, God has other plans and sends a great storm that batters the ship so hard that the sailors are afraid they will all die. They desperately throw cargo overboard as Jonah sleeps below deck, seemingly oblivious to their plight. Each sailor calls out to his own pagan god for help. Finally, in desperation, the captain goes down to Jonah to ask him to call out to his God for help. The other sailors cast lots to try to establish who on board has brought this trouble upon them. And the lot falls on Jonah. Realising that he’s been discovered, Jonah confesses all and tells the men that he is trying to run away from God, the Lord God of heaven. The sailors are absolutely terrified and ask Jonah what they should do. Jonah asks them to throw him overboard because he now realizes his foolishness and he sees the hand of God in the storm. The sailors, however, are reluctant to do this, perhaps having compassion on Jonah, or perhaps fearing what God might do to them if they take his life in this way. They try as hard as they can to avoid having to throw him overboard. Finally, when the storm has reached its peak they cry out to God for forgiveness before throwing him into the sea. The sea becomes immediately calm and these hardened pagan sailors worship God in fear and trembling. Meanwhile, Jonah is sinking further down, deep into the sea, where he is swallowed by a giant fish, sent by God for this very purpose. Chapter 2 contains a poetic prayer that Jonah prays from inside the giant fish. Jonah thanks God for saving his life although, interestingly, he does not spare any thought for the safety of the sailors. Little does he know that God has extended compassion and grace to them, rescuing them from their futile idolatry. God arranges for the fish to vomit Jonah up onto dry land and he is unceremoniously spat out onto the beach. In chapter 3 God repeats the same prophetic call to Jonah and he commands him to get up and go to Nineveh. This time Jonah obeys! The city of Nineveh was huge and Jonah walks a full day into the city before preaching his short message: “Forty more days and Nineveh will be overturned”. Much to Jonah’s disgust and horror, the inhabitants of Nineveh, from the smallest to the greatest, respond to the message from God. They believe in God, fasting, and repenting of their evil deeds. Even the King dresses himself in sackcloth and sits in ashes! A city-wide decree is issued that everyone should repent and humble themselves and ask God for forgiveness. Even the animals are included! God sees this incredible response of repentance and shows his compassion and steadfast love to the people of Nineveh, turning away from his plans to destroy them. All of this makes Jonah incredibly angry. He finds it absolutely unacceptable that God would forgive the people of this pagan nation. He cannot comprehend that God’s mercy and love would extend to nations beyond Israel. In fact he is so outraged that he declares to God that he would rather die than see this city forgiven. God simply asks him: “have you any right to be angry?” Jonah goes out of the city, still outraged, and waits to see what will happen. He still hopes that Nineveh might be destroyed after all. God provides a plant that grows quickly over Jonah’s head, giving him much-needed shelter from the heat of the sun. Jonah thinks this is wonderful, but by dawn the next day the plant withers away, attacked by a divinely appointed worm. When the sun beats down harshly and the east wind blows on Jonah, he gets very angry again and declares that he would rather be dead than put up with the injustice of the plant having been taken from him. The book closes with God pointing out to Jonah that he has no right to complain about the destruction of the plant because he did not make it or care for it, or even deserve it. In contrast, God has every right to care deeply about the 120,000 people living in Nineveh and all the animals, whom he created and cares for. The overriding theme in the book of Jonah is the compassion of God and his steadfast love for all people. God goes to incredible lengths to get his message out to the nations, including those who do not know him. Jonah’s disregard for the people of Nineveh stands in stark contrast to God’s compassion on the pagan sailors, the people of Nineveh and Jonah himself. Throughout the book, Jonah demonstrates a distinct tendency towards self-centredness and hypocrisy. This was intended to be a lesson to the original readers of the book. God never wanted his chosen people, Israel, to become self-centred, self-serving and inward-looking. Israel was indeed chosen by God, but not because of any worth of their own, but only because of grace. They were chosen to be God’s instrument through which salvation would come to all the nations. Throughout the book we also see God’s sovereign purposes being carried out. God chooses Jonah, a very fallible human being, to take his message where it needs to go. When Jonah does not obey God, and even when he runs away from God, God does not give up on him or reject him. He patiently teaches Jonah and continues to use him, despite his faults, in order to accomplish his purposes. This perhaps can give us hope too. God can and will use us to accomplish his purposes, even when we make mistakes. We may have some learning to do first and God is patient and compassionate! We would do well to pay attention to Jonah’s experience, and learn that it is better to obey the first time that God asks you to do something, even when it seems like a very challenging thing to do! We can also learn from the dramatic response of the people of Nineveh to God’s message. Jonah did not preach a long, eloquent, all-singing-all-dancing message when he reached Nineveh. His message was very simple but it produced huge results. We should remember that the Word of God is living and active and very powerful. God promises that his words will not return to him empty but will accomplish everything he has intended them to do (Isaiah 55:11). This should give us confidence that we can declare God’s message simply, not needing to soften, embellish or alter it in any way to make it more palatable to those who need to hear it. We also learn from Jonah that God always responds to genuine repentance. He is gracious and compassionate, slow to anger and abounding in steadfast love! There is a symbolic foreshadowing of Jesus in the life of Jonah. Jesus is the greater Jonah who also descended to the depths of the earth (in the grave) for three days, only to rise again in order to bring salvation to all people, both Jews and Gentiles. Jesus himself draws attention to this point in Matthew chapter 12. The people of Nineveh foreshadow the great number of Gentiles who will repent and be saved when they hear God’s message. We might need to ask ourselves whether there is any person or people whom we have foolishly considered to be beyond the reach of God. Is there any way in which we are being like Jonah, gladly accepting God’s compassion and grace but wanting to keep it for ourselves? Have we placed limits on what we think God can do? Or have we become too comfortable in our own secure position, forgetting God’s heart of compassion for those who are lost without him?